There are those who choose to live in the city or the country. This FJ43 Sport prefers to split its time between both - as any West Texan would. So in building this truck, we realized that it wasn’t enough for this Land Cruiser to have that classic look, it had to have the versatility and the conviction to thrive in both environments. Make no mistake: seeing this Land Cruiser for the first time is like taking a trip down memory lane. Its metal armor may have been forged in the early 1980s, but that unmistakable shape has been part of Toyota’s heritage since the 1960s. A design that has been updated here, with a new set of tires, some choice accessories, and plenty of retro details that stay true to its rustic roots. 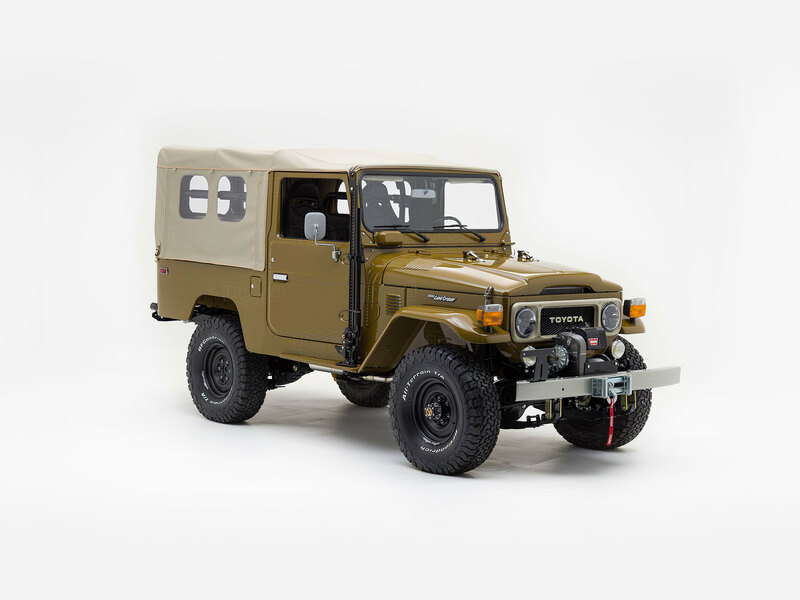 Mention the word “Land Cruiser,” and three words will inevitably come to mind: durable, reliable, and indestructible — and much of that is owing to the Toyota 1FZ engine under the hood, typically found in these vehicles in later years. A smooth shifting 5-speed, modern running gear, and revitalized 4-wheel drive take this classic ride into new territory. In many ways, this cabin is a tribute to the past. Yet, there’s something more refined at play here. Sure, you’ve got the vintage-looking controls and exposed bolts - those are a given - but you also have contoured leather seats, custom interior lighting, Bluetooth, and a free-flowing A/C system - the perfect companions for a not-so-everyday drive. The G40 Expedition by The FJ Company satisfies your need for adventure with a 1GR-FE engine and other modern upgrades. Build yours today!